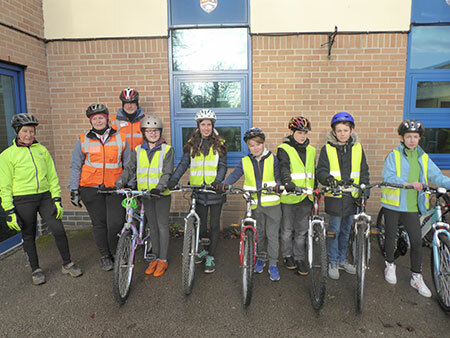 Pupils from Christleton High School have learned advanced cycle safety skills thanks to a scheme funded by Cheshire West and Chester Council. 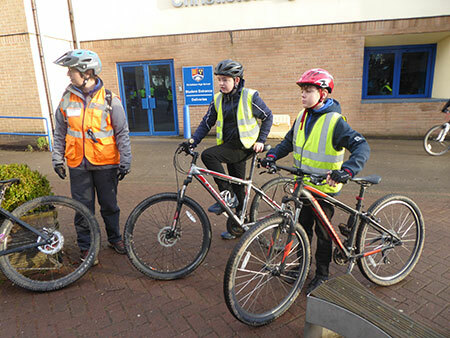 Nationally qualified ‘Bikeability’ instructors from ‘Cycle Experience’ provided Bikeability Level 3 training sessions for students in Years 7 and 8. 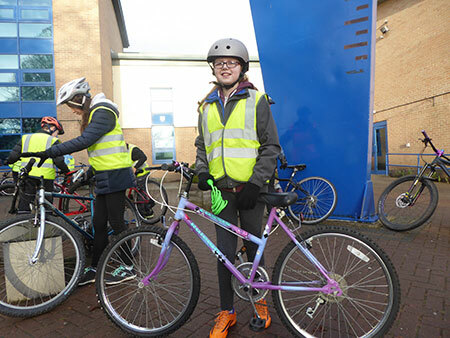 The Bikeability Level 3 course teaches students the advanced skills to tackle more challenging roads and traffic situations, including busier streets, queuing traffic, complex junctions and roundabouts. Despite the typical wintry weather conditions, all students showed great commitment and enthusiasm to take part and learn how to identify and manage all hazardous situations. The instructors commended them on their positive attitude, good preparation and enthusiasm. The Council’s Cabinet Member for Environment, Councillor Karen Shore said: “Over three weeks a total 78 students completed the course and achieved Level 3 accreditation.